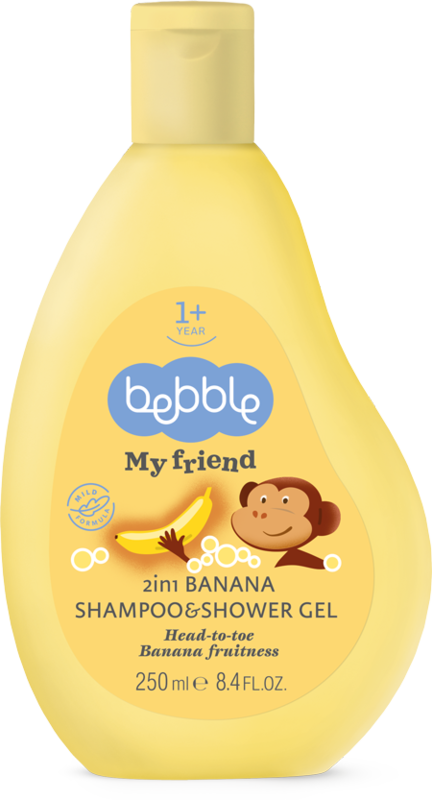 This delicious banana scented Shampoo & Shower gel is guaranteed to turn bath-time into a wonderful bubble party. Our special formula with vitamins and herbal extracts combines two actions in one fun and fruity product. Mild ingredients gently clean and care for the skin, while added softening components make the hair easier to comb through after washing. Gentle to the eyes and caring for the skin, this true friend contains panthenol, vitamin B3 and herbal extracts from linden and camomile. Children love imitating adults, and yours will probably have asked to take a shower rather than a wash in the tub, just to prove they are not a baby anymore, right? And why not let them, and help them out, to make it a safe and fun experience. Place a mat in the bath or shower, to avoid them slipping or falling. Give them a personal sponge or washcloth. 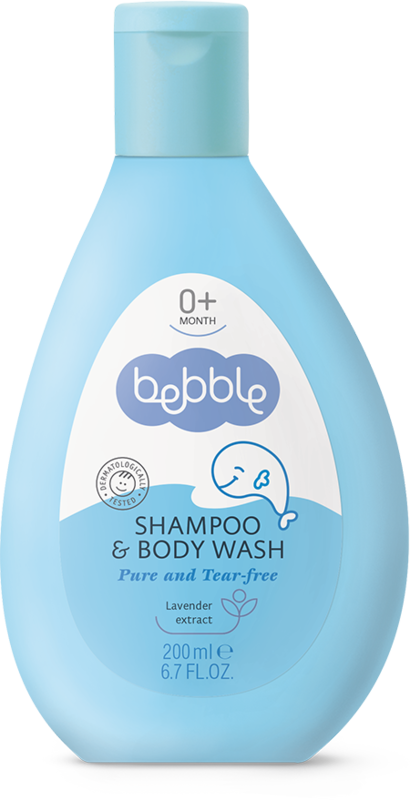 Help out and support their first attempts at washing independently, and let your little one feel all grown up. Advice: Do not leave small children unattended in the bathroom until they are at least 5 years old. Use: With a small amount of water, work into a lather between your hands before applying to hair and body. Rinse well with water. Our 2in1 Banana Shampoo & Shower gel has a fruity banana colour and scent. 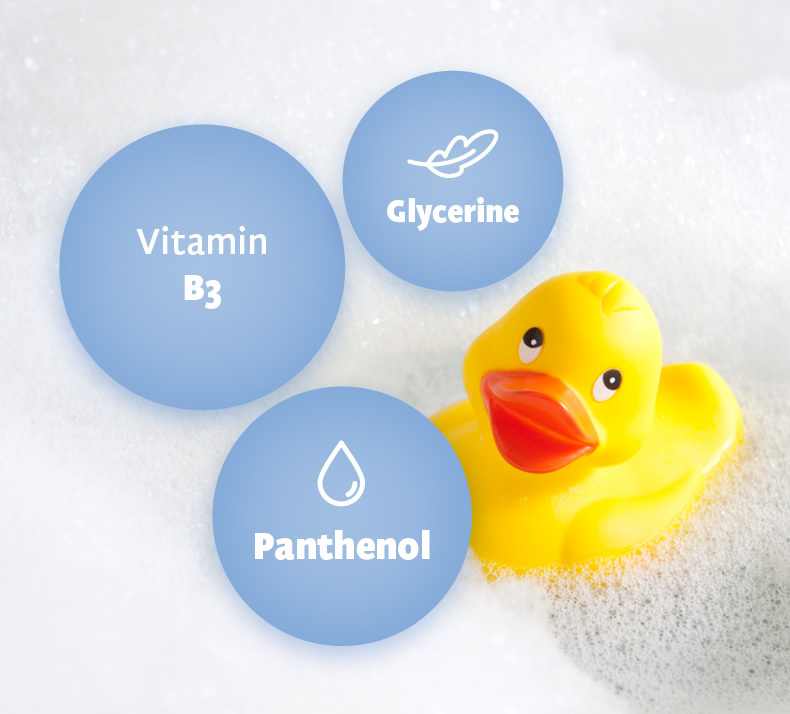 Vitamin B3 – one of the most stable B vitamins, has been purposefully added to our hair-care products. Heat, oxidation and alkali resistant, it plays an important role in people’s overall health, and has a positive effect on skin and hair. It helps increase the production of ceramides and fatty acids, which are two key components that contribute to the external protection of the skin. 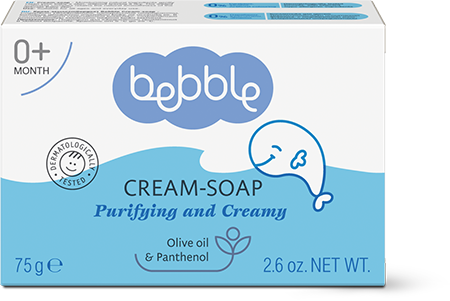 Thus it prevents loss of water and keeps the skin hydrated, perfect for young children and people with dry or sensitive skin. Vitamin B3 also supports better the growth and pigmentation of the hair. Linden flower extract – the flowers of the linden tree are commonly used for making a delicious and healthy tea. But the extract obtained from linden flower is also especially beneficial for skin and hair. It contains flavonoids, tannins and a-bizabolol essential oil, and we have added it to our products because of its soothing, hydrating and softening properties. Camomile extract contains active flavonoid and essential oil compounds, which are particularly beneficial in the care of sensitive skin. It has anti-inflammatory properties and fights free radicals. Panthenol – also known as pro-vitamin B5, D-panthenol gives the skin a soft and smooth appearance. It penetrates the outer skin layer and maintains the skin’s natural moisture balance, whilst at the same time stimulating cell growth and regeneration.